As our loyal readers know, Uncle Walt’s Insider recently announced our 85th Annual Golden Churro Awards for excellence in Disney Social Media. Shortly thereafter, the Disney Parks Mom’s Panel announced their 2nd Annual Best Things at Walt Disney World awards. 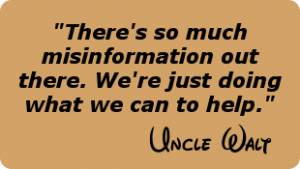 While we greatly appreciate and are humbled by the Moms naming Uncle Walts as the Best Disney Website Ever, we do have some minor issues with their announcement. Sure, posting “Best Of” awards is not an original idea. But don’t you think it’s a little suspicious that the Mom’s Panel announced their awards the week after Uncle Walt’s announced ours? Who knows, maybe there’s no nefarious intent, but we at Uncle Walt’s strongly feel that the timing of this announcement was intended to steal focus from our announcement. In order to make room for the above mentioned 3rd party shopping and dining, in 2008, Disney closed the Pleasure Island section of the then Downtown Disney, and all its entertainment venues. Although the music and dance clubs were fine (nothing special), we at Uncle Walt’s Insider are strongly opposed to the loss of the Comedy Warehouse and Adventurer’s Club. The Comedy Warehouse was an improv-style show similar to ‘Whose Line is It Anyway’. (Former Comedy Warehouse actor Wayne Brady would go on to become a star of ‘Whose Line’.) The Adventurer’s Club was something totally unique. Picture a 1930’s gathering of famous adventurers and explorers, holding their annual open house. Actors would roam through the building, interacting with guests, and putting on shows. Even the wall art and the bartenders were part of the show. Nobody was excluded! And Disney closed that, in favor of a restaurant where you can get small portions of food at large prices. (A member of the Uncle Walt’s Staff recently dined there, and reported that one member of their party was served a “piece” of chocolate cake that measured 2″ wide x 2″ long x 1/4″ tall. 1 cubic inch of cake! Outrageous!) How the Mom’s Panel can consider this to be an improvement over what once was, we don’t know. 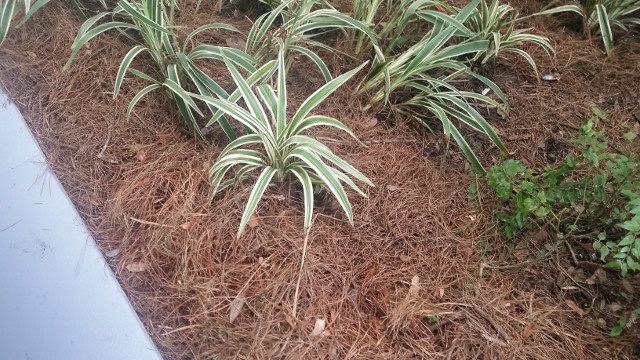 So, all in all, a decent 2nd effort by the Disney Parks Mom’s Panel. We’re glad to see you trying to award excellence, because there can always be more excellence in the world. Hopefully, you’ll take our advice into account, and next year’s awards will be even better! 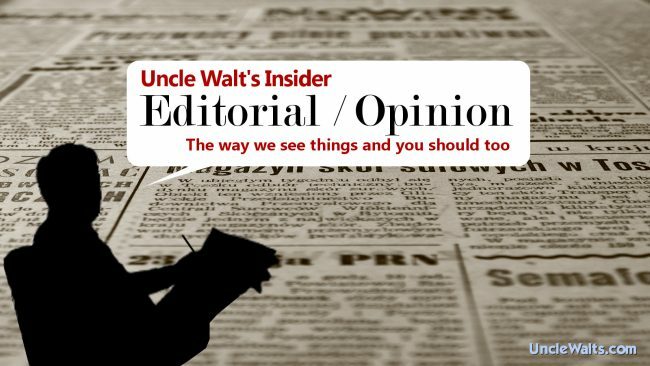 Opinions expressed in Uncle Walt’s Insider editorials are completely fair, accurate, and truthful, and we adopt and stand by each and every word said, unless they get us into trouble.